Get a birds eye view of the incredible Outer Banks with one of Kitty Hawk Kites aero tours! This unique perspective can be displayed from the windows of an authentic WWII Bi-Plane trainer, Cessna tours, and even in helicopter rides! Find out your piloting ability with our introductory flight school programs or test your bravery with our acrobatic flights. If you have a message for a loved one, say it the best way you know how..... From the air! We are happy to do personalized banner towing for birthdays, engagements, and even practical jokes! Give us a call at 1-877-FLY-THIS to FLY FLY FLY in your next adventure! Bi-Plane Tours: Take an 8 minute discovery flight around the town of Manteo and over the Elizabeth II (replica of a 16th century sailing vessel) in an original WWII bi-plane trainer. Fly a bit longer with 20 minute and 35 minute flights that provide the opportunity to see sites such as the Wright Brothers Monument, Jockey’s Ridge, Oregon Inlet or even the Bodie Island Lighthouse in the open-air cockpit bi-plane. The bi-plane can accommodate up to 2 people. Cessna Scenic Airplane Tours: The hum of the Cessna fills your ears as you ascend above the dynamic sandbar known as North Carolina’s Outer Banks. Dotted with cozy beach cottages and oceanfront estates, enjoy breathtaking views of the ocean and area landmarks from an entirely new perspective. Cessna air tours are one of the most memorable OBX adventures that we offer! Ride the breeze over the sand and the seas on a magical aerial tour that you won’t soon forget. When seen from a bird’s-eye perspective, discover forgotten shipwrecks and geographical features you’d never know existed until you hovered above them. Our Cessna airplanes offer seating for up to 5 passengers, and our high wing aircraft offers you 10 minute, 30 minute or 1 hour flights with an unforgettable view of Roanoke Island, the Wright Brothers National Memorial, Jockey’s Ridge State Park and the lighthouses. 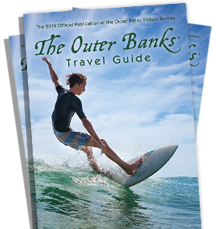 Outer Banks Helicopter Tours: Experience the Outer Banks from above with one of our helicopter tours! Up to three passengers can climb aboard this air conditioned Robinson R-44 Raven II helicopter for a flight over breathtaking beaches and iconic OBX sites. Take a 10 minute Discovery Tour across Pirate’s Cove Marina and out to the ocean, where you will circle Jennette’s Pier. Or opt for a 20 or 30 minute tour to capture aerial views of Wanchese Fishing Village, Bodie Island Lighthouse, the Wright Brothers First Flight Monument and more. Those wishing to see even more will love our 1 hour tours, with the option of heading north to the Corolla Lighthouse and wild horse territory, or south to the beautiful beaches and village communities of Hatteras Island. Robinson Helicopter Company is the world’s leading producer and top seller of civil helicopters, and is known worldwide for high performance, safe and reliable helicopters. Our four seat R-44 is the world’s most popular helicopter and offers an ultra smooth ride with spectacular views. Larry Ihle has been an FAA certified pilot since 1981, and has lived on the OBX since 1982. He truly enjoys sharing the natural beauty of the Outer Banks by air. Outer Banks Flight School: One of our most popular new aero adventures! Kitty Hawk Kites now offers flight training with no prior experience necessary! Utilizing a Cessna 150 Airplane with the most advanced equipment available, we are able to provide the most affordable flight training to any aviation enthusiast. Our certified flight instructor will work around your schedule to help you obtain your goals whether you are brand new to flying or working on your commercial license or instrument rating. If you have someone that wants to ride along with you to observe your lesson, we’re now allowing up to 2 additional passengers to come along with your Lesson! Lessons with passengers will be conducted in a Cessna 172 due to capacity restrictions of the Cessna 150 aircraft. Since the Wright Brothers’ first flight in 1903, the Outer Banks of North Carolina has been a destination for aviation enthusiasts. Our Flight Training is based at the Dare County Regional Airport in Manteo, NC (KMQI) just 10 minutes west of Nags Head, NC and just a 4 minute flight to the First Flight Airport (KFFA), home of the Wright Brothers’ National Memorial. Most importantly, our flight instructors are professional, experienced and dedicated to sharing their enthusiasm to fly with everyone!